Clean your nails off all old polish. Cut cello tape and stick in diagonally, long enough to be easy to pull it off after its done. 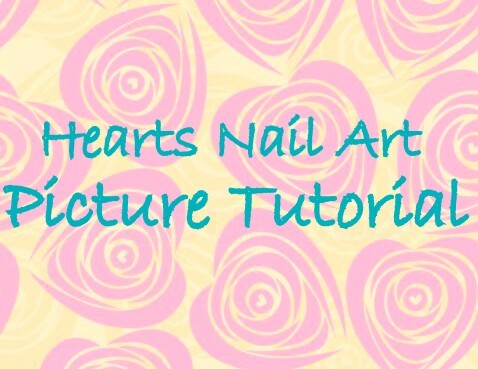 Using a tooth pick and a darker pink, draw vertical lines starting from the base of the painted diagonal and the nail tip. Use white paint to pull horizontal lines over these vertical ones. Pull the cello tape away :) and use silver nail paint to draw the border. 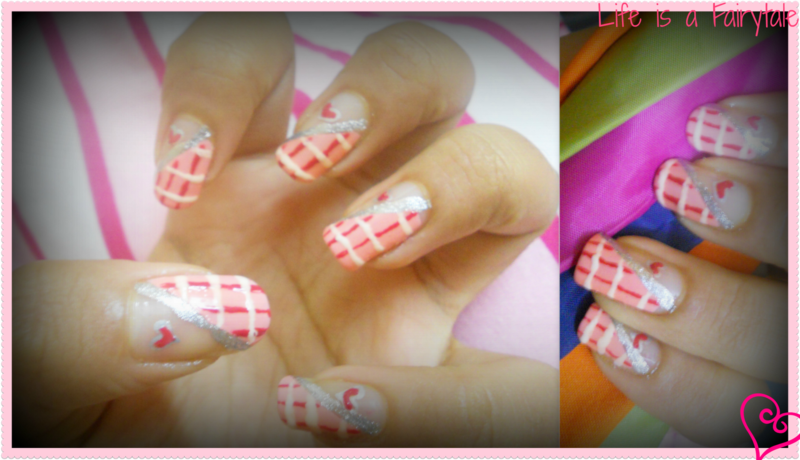 I have made the hearts' outlines using a silver colored glitter pen, and filled in the pink nail paint. Seal in with transparent coat.